Starr County lost one of its “favorite sons” last week when civic and agriculture leader John A. Shuford died July 7 at his home in Rio Grande City following a brief illness. As owner of Shuford Farm, he was widely known in the agriculture community. 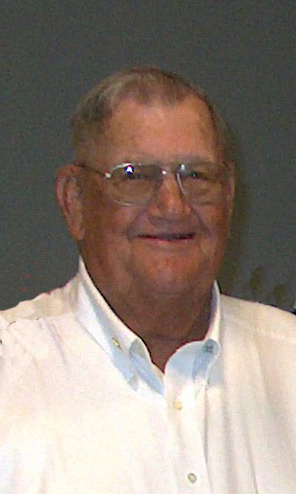 He served on the board of the Starr County Farm Bureau for 30 years, and in 2005 he received the Farm Bureau Pioneer Award. In 2004, he was inducted into the Texas Produce Association’s Hall of Fame. He also served as director and treasurer for the Rio Grande Growers Cooperative. He continued farming until his recent illness. He was a quarterback for the Rio Grande City High School Rattlers and made the Texas A&M baseball team as a walk on. At A&M he became famously known as “Lefty” Shuford. He earned his place in the sports history books in 1943 when he pitched the game that shutout the Texas Longhorns with a score of 12 to 0. He left college in May 1943 to serve in World War II. He fought under General Patton in four European campaigns, including the Battle of the Bulge. For his service he received the Presidential Unit Citation, the combat infantry badge, the Purple Heart, the Bronze Star and the Silver Star. He returned to A&M after the war to complete his education and graduated in the summer of 1946. He married Helen Valentine on August 30, 1946. He taught farming at Veteran’s School from 1947-1950. He also pitched semi-pro ball from 1947 to 1951. He began farming in 1951 and bought his own farm in 1962. VFW Post 8526 in Rio Grande City recognized him as the Outstanding G.I. Farmer for 1959. Shuford was a 4-H and Boy Scout leader for many years and was tapped for the Order of the Arrow. He is a charter member of the Starr County Fair and St. John United Methodist Church. He was inducted into the Rio Grande Valley Sports Hall of Fame in June 2002 and was honored by the Leo Najo Baseball Oldtimers that same year. In 2009, the Hidalgo-Starr County A&M Club honored him with the nation’s first-ever “Good Ol’Ag” Award. Thank you Mr. Shuford. Thanks for your service and thank you for the memories you gave me of me and my father on your farm. God bless and my thoughts and prayers are with the family.